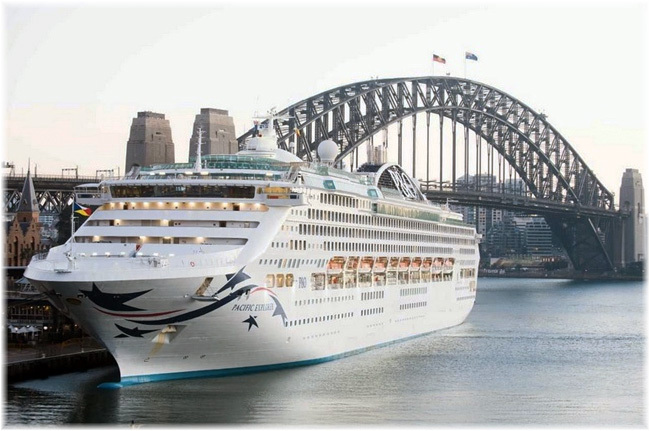 P&O Cruises Australia and Princess Cruises, subsidiaries of Carnival Corporation & plc, will charter three cruise ships to house delegates to the 2018 Asia-Pacific Economic Cooperation (APEC) Summit in November 2018, hosted in the Papua New Guinea capital of Port Moresby. From their moorings within the APEC security zones, three of the corporation’s ships – Pacific Jewel and the recently refurbished Pacific Explorer from P&O Cruises Australia, and another recently refurbished ship, Sea Princess from Princess Cruises – will provide accommodations for APEC attendees. Papua New Guinea is hosting the annual gathering of 10,000 delegates, senior officials and journalists from APEC’s 21 member countries for the first time since joining the organization more than a quarter century ago. Papua New Guinea is located 100 miles north of Australia and just south of the Equator. With a motto of “Unity in Diversity,” the country of eight million people is one of the most culturally diverse in the world, with hundreds of indigenous ethnic groups and more than 800 known languages. A gateway to the Pacific islands, the island nation is a favorite destination for cruises in Oceania. In addition to idyllic beaches and opportunities to snorkel and dive among protected coral reefs, Papua New Guineans also invite visitors to witness fascinating rituals, appreciate intricate handicrafts, explore dramatic waterfalls in the island’s lush rainforests and volcanic mountains, and experience WWII history and relics. The APEC Summit is scheduled for mid-November 2018, culminating in the Economic Leaders’ Meeting on November 18, which will attract Presidents, Prime Ministers and other senior world leaders along with thousands of delegates and observers.